Or as low as $166.50 per month over 12 months. Apply Now. The Marantz SA8004, Part of the magic lies in a new disc mechanism; featuring a Xyron disc tray, this precision engineered drive virtually eliminates micro-vibrations to allow the digital circuitry to process a more accurate data stream. This, in turn, translates directly into a more coherent and pleasing sonic experience. The Marantz SA8004 extracts extraordinary performance from all your discs – SA-CDs, CDs, even MP3- and WMA-encoded CD-Rs and –RWs are delivered with fresh perspective. Front and rear panel USB inputs expand your musical horizons as never before. Now you can enjoy your iPhone and iPod audio files via a digital connection and hear them anew though your audio system courtesy of the SA8004’s advanced circuitry. In addition to your iPod and iPhone files, you can “push” high definition digital music files from your computer to the Marantz SA8004. 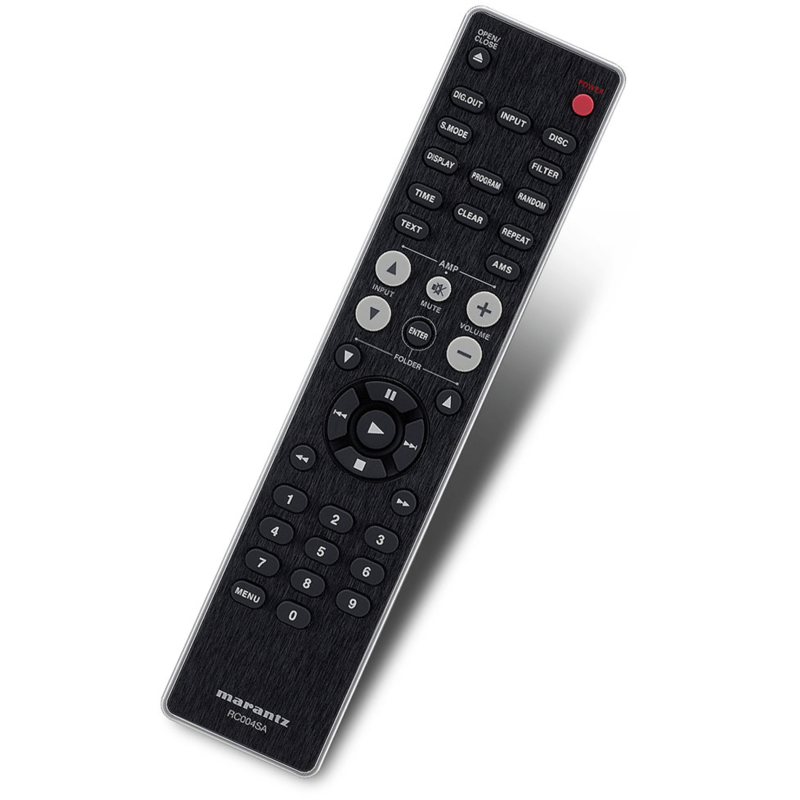 If you use either the coaxial or optical rear panel digital inputs, the Marantz SA8004 handles 24-bit PCM data at sampling rates up to 192 kHz. The SA8004 also accepts data from any USB stick or USB hard drive storage device. The Marantz SA8004 includes two rear-panel digital outputs. These outputs provide an S/PDIF signal even when the USB input is receiving iTunes music files. 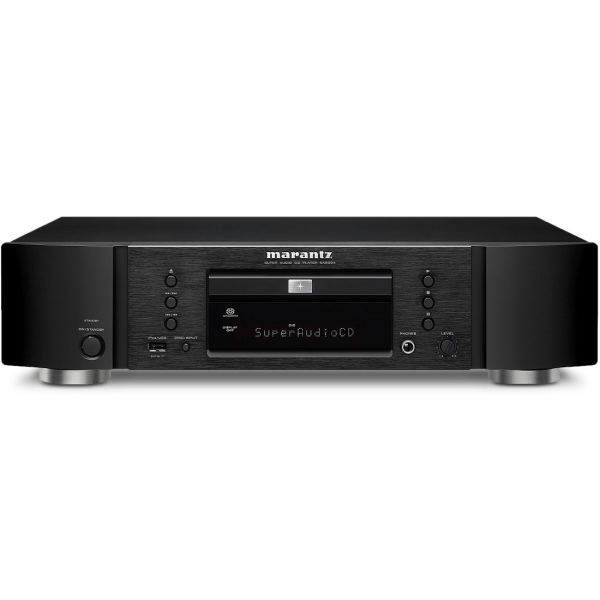 You’ll find high quality parts throughout the Marantz SA8004. Chosen only after extensive listening tests, they contribute exceptional performance levels to critical circuits. 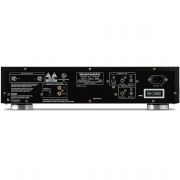 In the analog section, Marantz-proprietary HDAM SA2 circuits handle critical buffering and stage-to-stage signal transition. Symmetrical signal traces help maintain perfect synchronization between Left and Right channels for rock-stable imaging and a convincing soundstage. 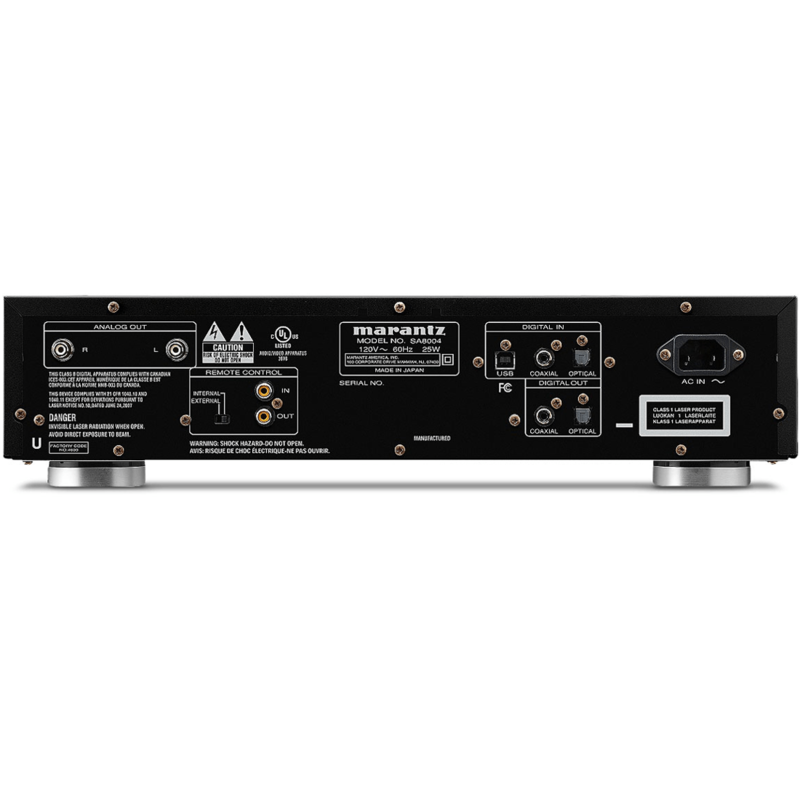 An impedance-matching copper plate inside the rear panel just behind the analog outputs improves signal-to-noise performance and channel separation to preserve the SA8004’s outstanding imaging capabilities. The Cirrus CS4398 D/A Converter offers advantages. For SA-CD playback, the Cirrus IC accepts the SA-CD’s 2.8224 MHz sampling rate directly without the need for any preconditioning, and the integral 50 kHz low-pass filter protects subsequent circuitry from potential oscillation. The headphone output includes a high-speed current buffer circuit for minimal interference with the main audio output circuit, maximum articulation, stability, and fatigue-free listening. 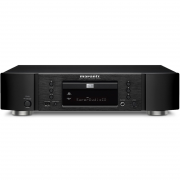 Complete with a soft-touch Power/Standby switch and full-function remote, the Marantz SA8004 brings top-shelf disc playback to a wider audience than ever before. A true Marantz, it contains the most advanced circuits in a chassis that’s highly styled to blend with any décor. It’s a stunning contemporary expression of the Marantz “look,“ long the standard for the entire home entertainment industry. And for those of you that rack your equipment, our RMK8754MSP rack kit will be available shortly. In short, the remarkable Marantz SA8004 sets a new standard for audiophile-grade reproduction of your music – regardless of where it came from. That’s flexibility. That’s Marantz.